One of several climbs away from Hwy 17 from Lexington Reservoir southwest of Silicon Valley. Black Road is one of 4 great climbs in the Lexington Reservoir area. Not much for distant views, this is a challenging climb that begins at the intersection of Black and Montevina Roads and climbs on up to Skyline Blvd (Hwy 35). We are surrounded and covered by a canopy of tree branches throughout the climb which is a popular route for local cyclists. Towards the top (at the steepest segment of the climb) we run through a series of 10 sharp switchbacks which are quite fun on the descent. 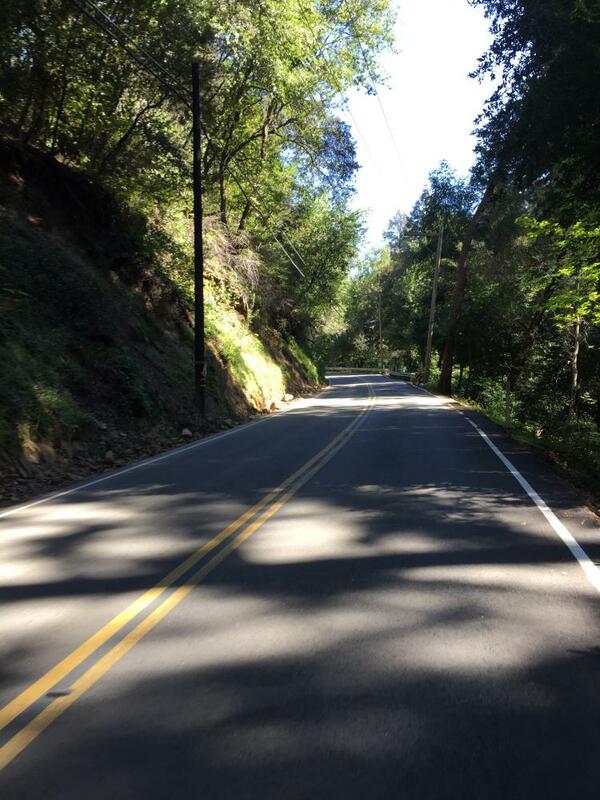 ​Roadway Surface / Traffic: This 2 lane road is in good shape with mild traffic the entire climb - this is a safe climb.